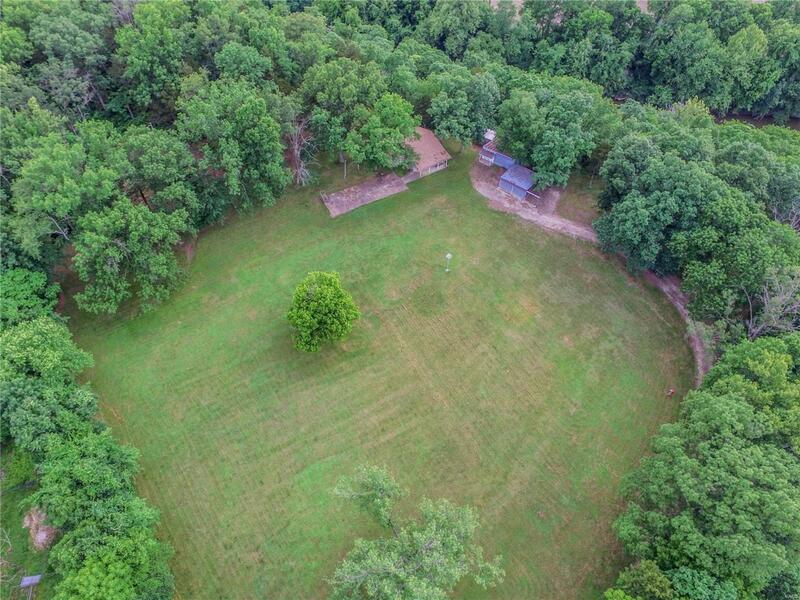 This amazing, secluded property offers 1/4 mile of river frontage with access to the Bourbuese River along the west side of the property. There is a 3+ acre clearing on the back side of the property with a small cabin the owners still use for weekend getaways and 2 equipment sheds. Multiple possible build sites for your dream home or it could be subdivided for multiple homes. The billboard on the property generates a yearly income of $1000, all equipment (tractors, mowers, hand tools etc) and furniture located on the property are to be included in the sale. There is a second entry on the west end of the property as well that could be used as a new driveway.